Fireplaces are a great addition to any home. Both gas and wood options offer a degree of warmth, but unlike wood-burning, gas fireplaces provide steady, consistent heating. The heat from a wood fireplace decreases as the wood burns and therefore requires fuel replenishment. Gas fireplace are much more user friendly, as easy as a flip of a switch. Gas fireplaces are more controlled and do not output sparks or smoke. A natural fireplace requires chimney and regular maintenance to remove creosote. Gas fireplaces have venting systems and therefore do not require a traditional fireplace chimney. The flames of a gas fire also don’t produce creosote, which can build up in the chimney causing damage. 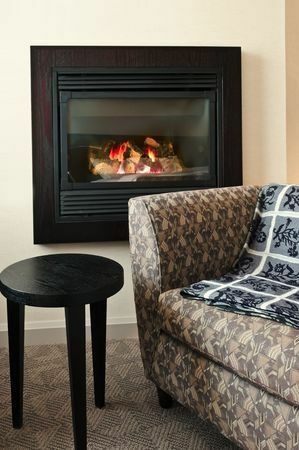 Gas fireplace produce better, increased heat than its wood counterpart. Most gas fireplaces have blowers installed with them for better distribution of the heat that comes from the flames. This keeps warms and entire homes warmer than traditional fireplaces. While it would be unfair to say that gas fireplaces are better than wood fireplaces, they certainly have benefits that are worth recognizing when deciding between the two. Fireplaces are great for any home. They drive down your energy costs when heating is instrumental in the winter months and are a pleasant centerpieces for gatherings. So afford yourself these luxuries the easy way with easy-to-clean, low maintenance gas fireplace inserts. In addition to providing the easier-to-own option, they are also exponentially safer, allowing you to better protect your family.